This cosy one bedroom apartment is located in one of the most vibrant streets of Cannes, at just 6 minutes from the Palais des Festivals and within walking distance from the Croisette. It is located on the 2nd floor, without lift. 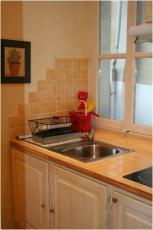 The apartment has been recently renovated and refurbished with an elegant classic style. The living area has a comfortable convertible couch, a dining area and an open style equipped kitchen. 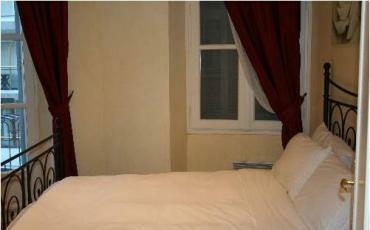 The bedroom has 2 single beds(or 1 double) and the shower room is modern and functional.